Bamboo Green Hotel, Danang is on the conner of Phan Chau Trinh street and Hoang Van Thu street, you are close to the business, shopping and entertainment center. Tourist attractions are just 10 minutes away and by taxi, you're within easy reach of the airport, railway station and sightseeing attractions. - Coming to Orient hotel, you will be enjoyed and satisfied with best services with the modern material facilities together thoughtful, enthusiastic and courteous service style. With the motto Safe, Thoughtful, Quality and Effective, we believe that you will be beneficiated from the most wonderful services with the reasonable price. My Khe hotel is 2km far from the centre of Da Nang city, located at the lovely My Khe beach with fresh atmosphere, which is suitable for tourist. 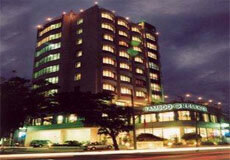 The security, clean and beautiful scenery and friendly service will satisfy you when you stay at the hotel. - With 900 meters long, My Khe beach is the most crowded of Danang beaches. My khe being popular as it has some enabling conditions such as being near the city?s center, large space, beautiful landscapes, and varieties of services: hotels, restaurants, vehicles keeping site, fresh water bathing, sunshade and buoy lease, etc. 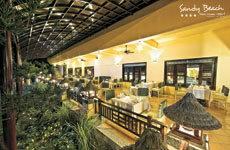 Furama Danang resort blends French colonial style with traditional Vietnamese architecture. Each room features a spacious private balcony with a view of the ocean or a fresh water swimming lagoon or tropical garden. 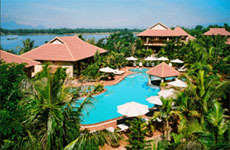 - The Furama Resort aims to make your stay in Vietnam a unique and unforgettable experience. Whether you prefer to be active or just relax, Furama Da nang resort offer a whole range of recreational with perfect fitness center and sports facilities or cultural activities with high-class packages to suit everyone. 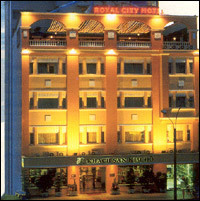 Faifo Hotel is located in the heart of Danang city, just 15 mins from the International airport. Saigon Tourane hotel is a modern, five-storey located in the heart of Da Nang city, overlooking the Han River and Tien Sa Bay. 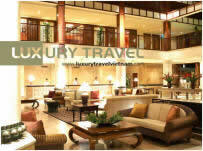 The hotel is only 3 km away from the Danang International Airport and 2 km from the railway station. - One of the largest hotel in Da Nang city, Saigon Tourane offers guests 82 luxurious rooms that provides comfort to both business and leisure travelers. Sprawling on the shores of Danang Bay in the most beautiful and unspoiled locations in Central Vietnam . - Located close to the Marble Mountain, along the coastline with pure white sand, a mere 10 minutes into the city centre and 15 minutes/12km to the Danang International Airport.